Air Chaser is a proud mass distributor of XPOWER products which are designed with our customers in mind. 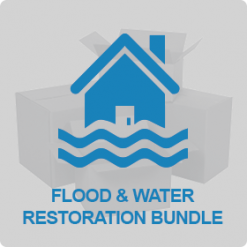 With state-of-the-art technology, high-performance and efficiency, XPOWER disaster restoration equipment & products dry structures faster, improve productivity and help water damage restoration companies return properties to their original condition sooner and more efficient. XPOWER centrifugal air movers, axial fans, air scrubbers and true LGR dehumidifers have the power to handle the toughest water damage restoration, mold remediation and janitorial and sanitation challenges Jan-San And Restoration. The products we offer help increase profits and improve living quality. Air Chaser carries only the highest grade of restoration equipment for water damage, fire damage and mold remediation professionals. The products are designed and manufactured by XPOWER Manufacture to hold up to your toughest jobs. With more than a decade serving the specialized needs of restoration professionals, We sell and assit our customers throughout the buying process to help them pick out the system that works best for them with our well-trained staff. Also, we stand behind the professional-grade drying and climate-control equipment, including commercial dehumidifiers, air movers, air filtration that we sell. Only Air Chaser will offer you a 30-day satisfaction guarantee. Don’t just buy. Buy with trust! Air Chaser is a complete source for business essentials in the disaster restoration and water damage restoration industries. Our advanced commercial grade restoration equipment like the powerful LGR dehumidifier to help stop mold and fungus; environmentally friendly with low amp draw air scrubbers to restore to pre-disaster condition; industrial-grade centrifugal air movers, axial fans and low profile air movers dry areas quickly and completely.